5HTP 100 mg by Vital Nutrients was prescribed to me by my naturopath. It has helped me sleep. I use 5HTP by Vital Nutrients to help calm me down at night so I can get some sleep. Also if I have a lot on my plate and am anxious I will take one in the morning as well. If you feel that your mood on occasion is unpredictable or unregulated‚ you may benefit from taking 5-hydroxytryptophan (5-HTP). 5-HTP is a byproduct of the protein building block L-tryptophan‚ which is an essential amino acid‚ meaning that your body cannot produce it; rather‚ it has to be obtained from your diet. Your body uses 5-HTP to make serotonin‚ which is an important brain chemical that plays a major role in your emotions. Replenishing low levels of serotonin may decrease nervous feelings you may go through‚ help regulate your moods‚ promote more regular sleep cycles‚ reduce inflammation‚ support appetite control‚ and help you deal with common pain. Vital Nutrients cares about your health and safety. 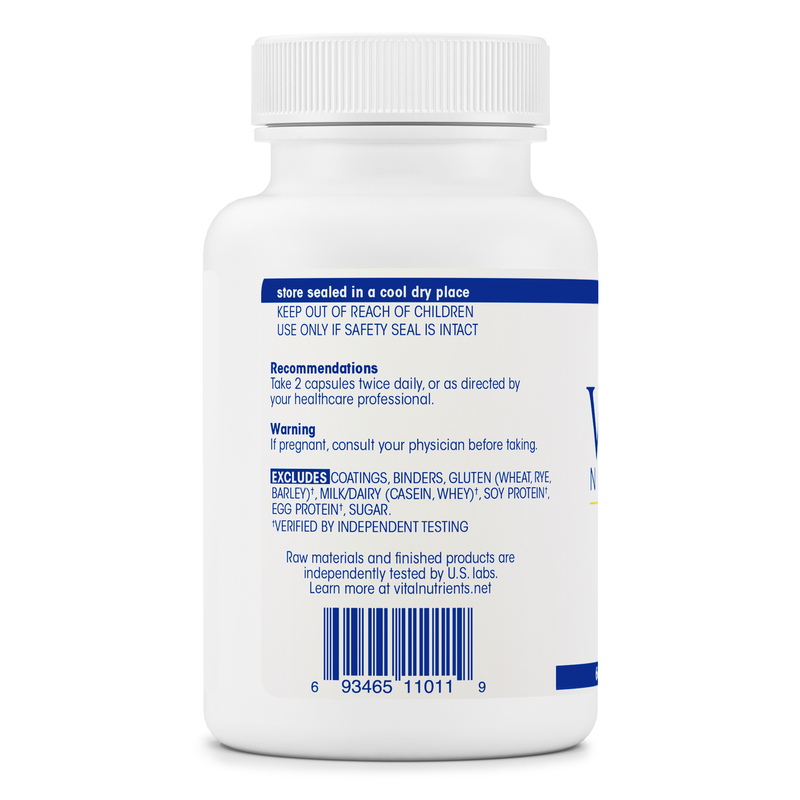 This supplement has been independently tested for potency‚ stability‚ and authenticity‚ and does not contain any preservatives‚ coatings‚ binders‚ yeast‚ wheat‚ dairy‚ sugar‚ artificial flavoring‚ or artificial coloring. 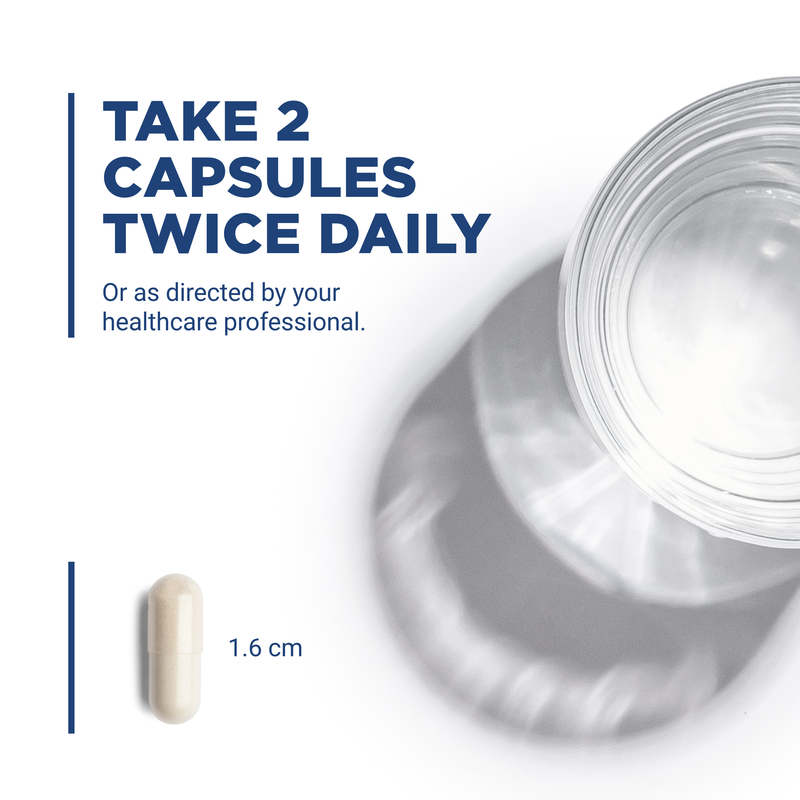 Each 60-vegetable capsule bottle of Vital Nutrients’ 5HTP 100 mg will last you for about two months when taken at the recommended dosage of one capsule daily‚ taken one hour before bedtime. Since mental disorders can be serious‚ do not stop taking prescribed medications or supplements‚ or begin taking a new product‚ without first talking with your healthcare provider. Other Ingredients: Vegetable cellulose capsule‚ rice powder‚ magnesium citrate‚ and leucine. 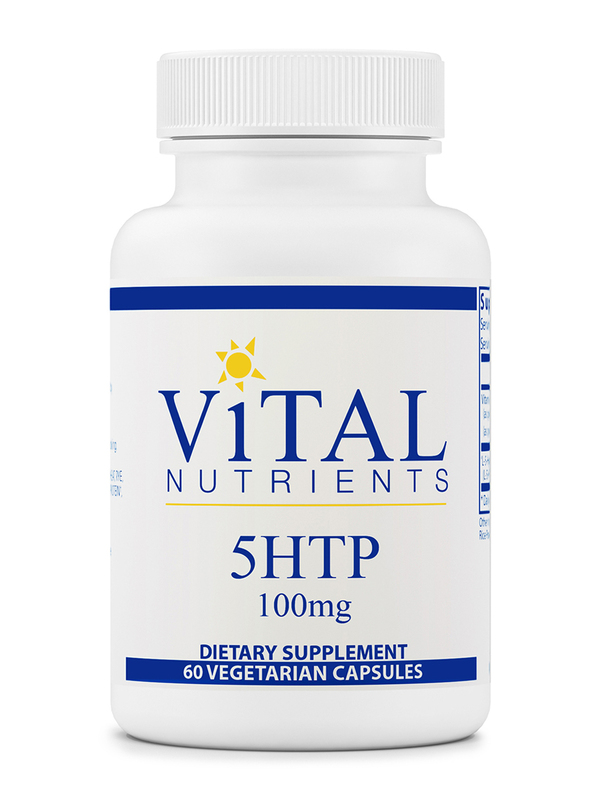 Ever since I started taking 5HTP by Vital Nutrients I have been sleeping so much better, and also since starting this 5HTP I definitely feel that it is also curbing my appetite! 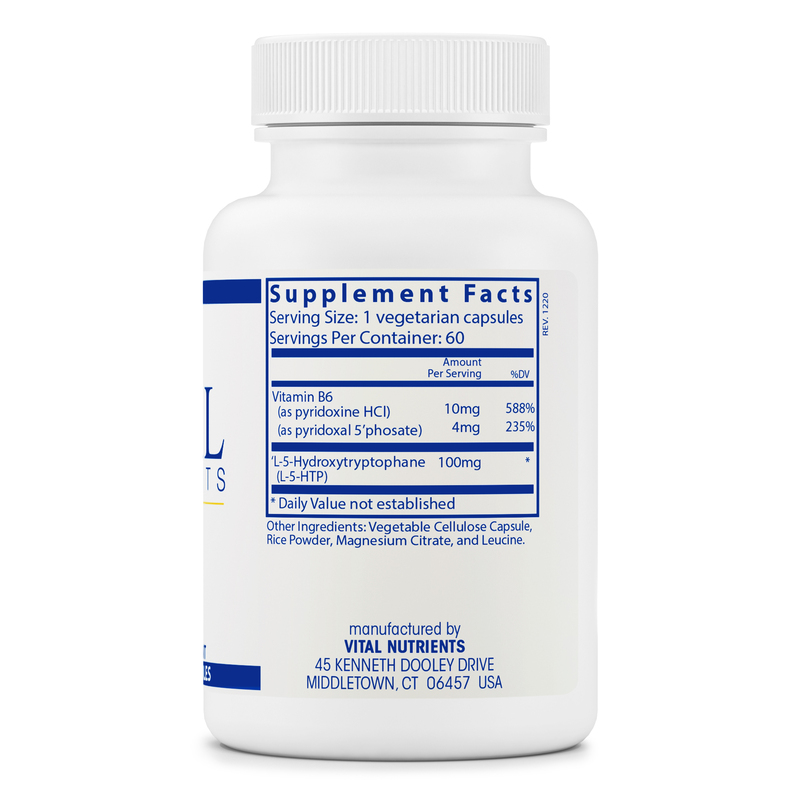 True to its mission, Vital Nutrients 5HTP 100 mg helps lift mood.